. Backroads, mudding, cross country or rock-crawling...whatever your off-road challenge, our Carfax 2 owner Jeep has you covered . 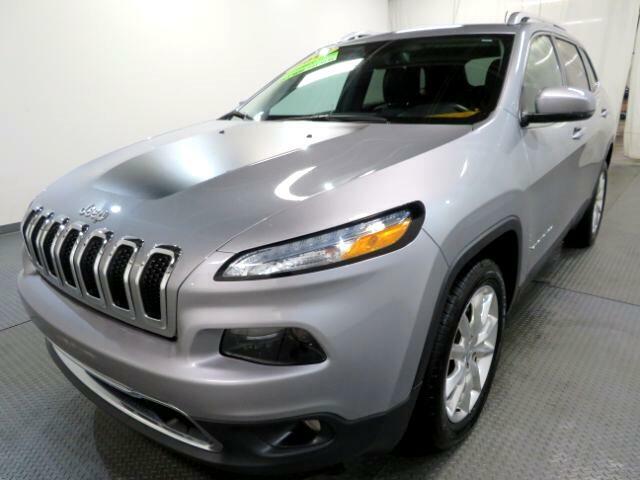 This Jeep has mated to a class-exclusive 9 Speed Automatic transmission, it achieves a best-in-class driving range of up to 490 highway miles on one tank or 31mpg. You will enjoy taking the road less traveled courtesy of the Jeep Active Drive Lock 4x4 system and a locking rear axle, a 1-inch lift with off-road suspension and functional skid plates. Take some time to admire the new fresh exterior of the Jeep Cherokee at combines classic Jeep elements with a modern and aerodynamic shape accented by off-road aluminum wheels, all-terrain tires, and accent color tow hooks.